Physioscpt.co.za is based at Stanhope Centre, 227 Main Road, Kenilworth, Claremont, Cape Town, we also have a branch at Kromboom Medi Centre, Kromboom Road, Crawford . I Geron Barnes am just like you. I love participating in sport and all outdoor activities. So when injuries get in the way I know exactly how you feel, thus my chosen profession. Physioscpt.co.za will provide you with a thorough examination according to your presenting symptoms and limitations. Once a diagnosis is made a continuous assessment of your response to physiotherapy treatment and progress is monitored. We are then able to manage your pain and/or injuries to the muscular, skeletal and neural components of the body by comprehensive combination of skills to get you back to what you love doing as soon as possible. Treatment is aimed at restoring the best possible function by return to your normal routine, be that work or sport, as soon as possible. This is achieved by eliminating the cause of the dysfunction by reducing pain and/or stiffness and aid repair of damaged tissues by aiding the body’s natural healing mechanisms. Physiotherapy treatment may involve different ways of relieving pain, restoring function, flexibility and strength. Skilled hands on techniques used may include mobilisations of joints, soft tissues or neural tissues, individualised exercise programmes, strapping, manipulation, postural correction, electrotherapy, dry needling, exercises and muscle rehabilitation, and very importantly, patient education. Research has shown that prompt physiotherapy assessment and treatment may help the recovery of many of the conditions below. Even if you have been suffering for years, Physiotherapy can help to change habits, lifestyle and both general and specific muscle/joint fitness, that may reduce pain. Paediatrics: Cerebral palsy; care of children with minimal brain dysfunction; developmental abnormalities; the prevention of orthopaedic and postural deformities. Geriatrics: Care of the aged in all related fields of medicine and surgery; prophylactic treatment; rehabilitation and recreational activities. Physiotherapists are first line practitioners, meaning you do not need to be referred by your GP. After a thorough examination, if we find that physiotherapy treatment will not benefit you or further ingestion is required we can refer you accordingly. If you are unsure whether physiotherapy will benefit you, or you're struggling with any of thee above please do not hesitate to contact me. 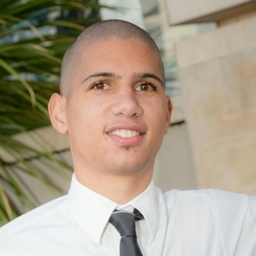 Geron has a wonderful caring nature and is very passionate about his work. He made me feel very comfortable and got me back to running in no time. As an ageing footballer, all the years of football greediness is starting to catch up with me. Mr Barnes has helped me with numerous in the last couple years. From ITB, to knee, to hamstrings to rib injuries. You name it, I've had it. He has always managed to get me back playing in good time and feeling strong and confident to play the game I love. Thanks Geron Barnes. Also, will probably have to see you soon, so see you soon Phys. :). After having bilateral knee surgery and severely shortened muscles preventing me from standing up. After being further hurt by another physiotherapist, I contacted Geron. The commitment shown to me, improvement is incredible. 10 weeks ago I was still using a wheelchair to get around, I am now without crutches and well on my way to being my usual energetic self. Both Geron and his partners have made a huge impact on improving my life and are very economical for their excellent drop of a hat service. Thank you so much.